The startup we briefly mentioned last year as a winner of TechCrunch Moscow 2012 pitching competition, Excursiopedia has acquired another Russian travel startup Travelatus. Excursiopedia is based in Munich, Germany and seems to have largely a Russian management team. According to the founder of Travelatus Valentin Dombrovsky and Nikola Rafaj of Startup Yard, Travelatus was bought for a six-digit sum of cash and shares, and since the Travelatus team – Valentin Dombrovsky, Vitaly Korobkin and Denis Volkov join Excursiopedia, the deal looks like an acquihire. Prior to merger, both companies concentrated on smart travel experiences. Excursiopedia offers a database of tours and excursions in more than 1200 cities, whilst Travelatus, the graduate of Czech startup accelerator Startup Yard was pushing in the direction of the event-related travel. Founded in November 2011 and launched in June 2013, Travelatus built its concept around music and sports events, and that fall within the line of the educational leisure, the market segment that Excursiopedia is addressing. Excursiopedia seemed to have put more focus on connecting locals with travelers in the past, but now it pitches a broader service of aggregating tours and activities. On the global market it competes against GetYourGuide, the Swiss startup which has acquired Gidsy, a local guide marketplace backed by top European VCs and Ashton Kutcher. 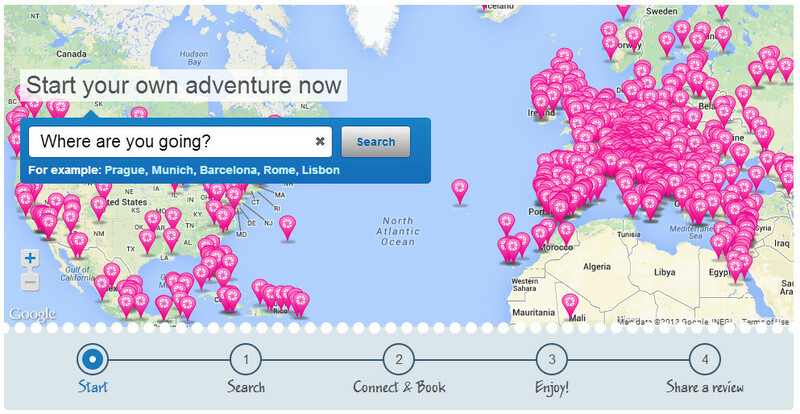 GetYourGuide offers over 23700 activities in 2330 destinations.